Starring Janet Jackson, Whoopi Goldberg, Phylicia Rashad, Thandie Newton, Akika Noni Rose, Kerry Washington, Kimberly Elise, Macy Gray and Loretta Devine, the film is billed as, “a poetic exploration of what it is to be of color and a female in this world.” Industry insiders are whispering Oscar tentatively around this project, since Lionsgate moved its release date up from January 11th to the awards season-friendly November 5th. Everyone seems to be tiptoeing around the fact that Perry might be stumping for his own work at the Oscars this year (he made the rounds with Oprah as co-producers of “Precious” last year). And according to the trailer, it seems very high on the melodrama, and his cinematic style seems to have evolved to a new place, aesthetically at least. It’s his first time adapting someone else’s original work, so it’s definitely new territory for him. There’s no shortage of powerful actresses in his cast, so the performances will be ones to watch. Allow us to now step up on our soapbox for just one second. 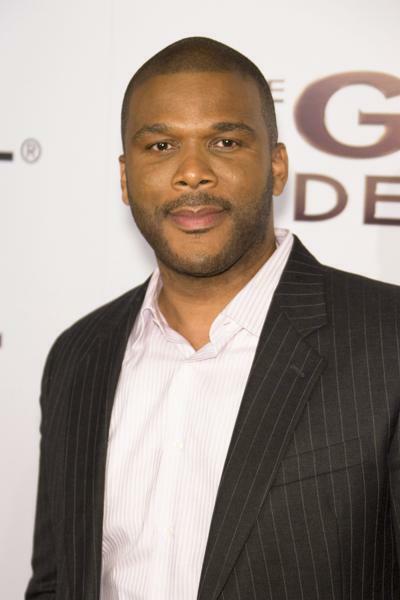 Read our defense of Tyler Perry after the jump. It’s been in fashion amongst critical circles to deride Perry’s oeuvre as trite and one-note melodrama, a joke among true cinephiles, and it is true that his comedy is broad and moral overtures less than nuanced. However, his films reach a vastly underserved and loyal audience, which is why they turned out in droves at the box office and made Hollywood sit up and take notice. His films tend to cram in every storytelling experience, stuffing comedy, romance, and high drama into every nook and cranny. Perry also manages to hit that sweet spot where he’s simultaneously celebrating and satirizing his own culture and the culture of the majority of his audience, much to the delight of all involved. It’s telling that New York Times critic A.O. Scott took in a screening of “Meet the Browns” at the Court Street UA Theater in downtown Brooklyn, rather than attend a small press screening, because it’s the audience and their reaction that matters in this narrative experience. The demographic he makes his movies for enjoys them, and isn’t that what cinema is all about? Ultimately, the proof is in the pudding, and Perry delivers at the box office for a small company like Lionsgate, often beating out major studios on his opening weekends. In this day and age where mid-range budgeted original films not based on a previous book, remake, franchise, sequel or plastic ’80s toys are on the endangered species list, Perry is staying successful and making returns at the box office with just that product, which is a huge success in itself. All this is just to say, don’t discount the man because he’s making it work on his terms in Hollywood, which is never an easy feat. 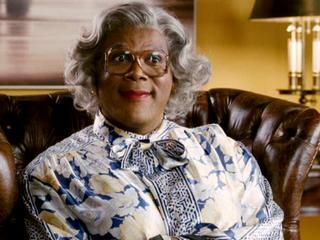 “For Colored Girls” is one to keep an eye on as he tries something new, but even as someone not in the “Tyler Perry Demo,” this writer hopes that he still keeps doing Madea– as outlandish as she is, she still has something to say that’s worth listening to, or a least worth the laugh.